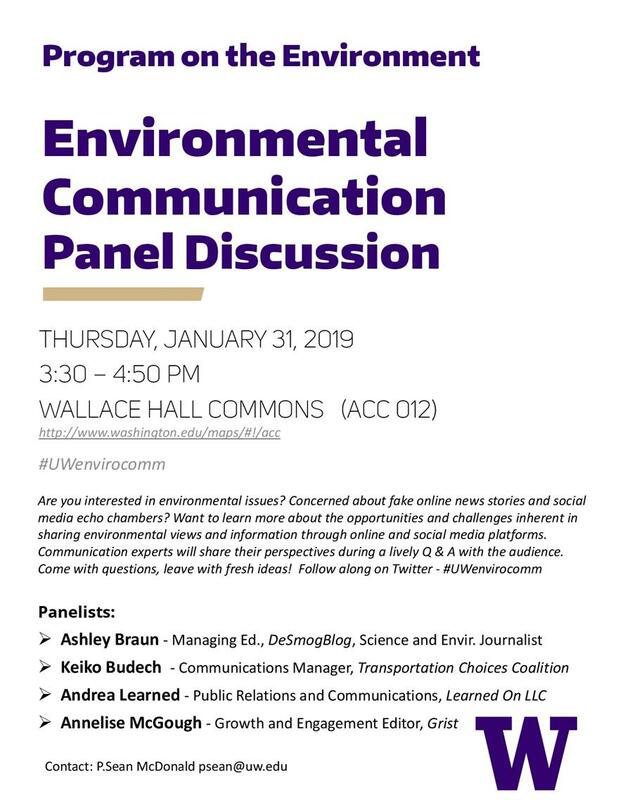 Thursday, Jan. 31, 2019, 3:30 – 5 p.m.
Panelists in the Environmental Communications profession share about their field and answer questions. This is an excellent opportunity to learn and discuss current issues. This panel includes environmental journalism, advocacy, green business, and science communication. Everyone is welcome!